I need some advice regarding logging time. I am a Canadian resident. I did my training in the USA and the converted my license to Transport Canada commercial multi IFR. I have the Jeppessen professional pilot logbook from the states. I will be starting as an FO up in Northern Ontario soon. Just wondering if I should buy a Canadian log book and start logging time in that or should I continue in the Jeppessen logbook. Transport Canada accepted the logbook when I converted my FAA license but just wondering if they would have any issues later on when I apply for ATPL. The only differences I noticed are the columns for the names (PIC, CO-PILOT) in the Canadian logbook and the Jep logbook doesn't have those columns. TC would like you to get another logbook, but you don't have to. Canada, that time counts only as dual. if you have two different logbooks. TC will like that for your ATPL. Ok thanks Colonel. I will purchase a Canadian logbook and start using it from now on. Sunny, did you log any Co-pilot as "solo" or did you put it all in the "dual" column? I think as long as all the dual time is placed and totaled up in the dual column the American book is perfectly fine. Colonel? All you need to do is make sure you have enough Pilot In Command time that Transport Canader deems acceptable. Just talk with them when you apply for the ATPL. Unless you feel like keeping two separate log books. I suspect you are hoping to avoid that or you would not have asked, yes? Though it might actually be nice to have two books it might be a pain to keep them up. I have considered transferring my time into a second one so it would be neater and not need any corrections. But how would I get it certified as correct? Are there in fact any requirements to have a logbook certified as "correct"? Whose certification is to be accepted? Good question photofly. I wonder if there is anyone that TC accepts to audit and certify log books as correct? All my time is on rental aircraft. So my logbook was certified by established FTUs known, and at least at the time respected by Transport. One still exists and might stamp a new one based on records or my old on. Another no longer exists. Are there in fact any requirements to have a logbook certified as "correct"? accept a certified logbook when issuing permits and licences. 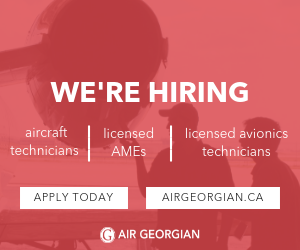 CFI (or delegate) of an FTU, a CP, or an aircraft owner. are a mishmash of everything. TC is very reasonable in this respect (Ok I know they are NEVER reasonable, except, I guess with me) but you can claim anything that is reasonable and they will accept it. I stopped flying in 93 or 94 and when I started again 3 years ago I could not find my logbook. I looked high and low but even though I knew I had it, I couldn't find it. I checked with TC and our flight school and then prepared a statutory declaration before a lawyer (I think you can use a JP as well) stating under oath that I had 115 hours with 55 being dual and 60 being solo, had it notarized and then started a new logbook as per the declaration and kept a copy in the front. No problems. If I had claimed 15,000 hours, I suspect there would have been problems. I only used the new logbook for a while as I had not used the tried and true method of finding stuff ... give up and it will appear! It was found behind the cookbooks ... don't ask. Sorry, don't mean to rehash old ground. I certify every page, over my signature, as PIC ("All times and entries on this page are certified correct") - does that not count? I've done the Affidavit thing too, for hours in a lost logbook. There were no questions raised by TC. It's allowed for in the CARs and they accepted it. Good point CFR, I think it just makes things smoother when you present a logbook certified and stamped by a trusted source. If something looks funny it's like they're vouching for you. Sure but you have a couple hundred hours to buffer if you decided to apply for an ATPL, right? Beefitarian wrote: Good question photofly. I wonder if there is anyone that TC accepts to audit and certify log books as correct? Many (all?) FTU's mark their journey logs "as per daily flight sheet" and keep the daily sheets on file. If you don't need to go back too far and have some idea of the dates, they can usually help. Now that I fly my own A/C most of the time, the trips are in the journey log and I transfer that info to my pilots log (plus 0.1 for taxi ) As well I keep an excl spreadsheet version of my logbook which allows me to break out info anyway I want (time on type, time for the year, etc). Last edited by CFR on Fri Jan 04, 2013 11:22 am, edited 1 time in total. Beefitarian wrote: Good point CFR, I think it just makes things smoother when you present a logbook certified and stamped by a trusted source. If something looks funny it's like they're vouching for you. Agreed. Just noting that there are options, second best but an option. CFR wrote: If you don't need to go back too far and have some idea of the dates, they can usually help. Is the last century too far back? If the journey logs are available, anything is possible. I certify every page ... does that not count? aircraft owner, you can certainly certify "times correct"
on your own aircraft, for that flight time. entries in the journey logs. a single entry in my personal logbook, as well. I'm still small hours and only one or two trips on days that I fly, so individual entries are not a problem. I do have a question about keeping track of aerobatic time. It is a 10 min transit each way to the practice area, I typically go for an hour or so. While I fill out my logbook to show the complete flight, I keep a separate column for "aerobatics" and log only the actual time in the practice area flying aerobatics. What do you do? Over the past 20 years I've had a few log book questions for TC and the response has always been positive. First issue was 20 years ago when the flight school I was with went bankrupt. My student logs weren't officially stamped and signed by the FTU where I did the majority of my flying. TC didn't care and issued me a PPL license. Second when I got my float rating, I had the Jeppesen US log book. It has a PIC and a Solo column. I never used the solo column, like the Canadian style I just logged all my solo time in the PIC column. When I took my paperwork to a designated signing authority they refused to issue me a my float rating becuase I had not written in my solo flight time in the solo column, I only placed it the PIC column, with a notation in the comments section "Solo flight 10 take offs and landing." This is despite the fact that the two other guys I was with had log books that did not have a solo column and so he signed them off just fine. Well I didn't want to put 1 hour in the solo column and have to carry that single hour forward for the rest of my career so I went directly to TC and showed them my logs and the entry I made. They were 100% happy with the entry and signed me off right there at the desk. They also asked for the fellows name who refussed to sign my logs, not sure what sort of talking to they gave him. Third I have an old Canadian log book that doesn't contain the columns that the newer version has and I have a US Jeppesen log book which has the majority of my time logged in it. When I applied for my ATP I submitted an excell spreadsheet log book to TC. My excel speadsheet didn't look anything like either log book and nothing like a "normal" Canadian log but it had specific columns for all the times TC was looking for. Further, 20 years ago when I started flying I never imagined getting to the point where I wanted or needed an ATP so I was very lax with getting old CP/employers to certify my logs. All TC asked was that I sign each excell sheet. They are going to call a random selection of employers to verify you worked there regardless of whether you have a stamped a signed & book anyways. (guess they figure if you're going to fudge numbers then it's not beyond you to fudge a log book certification.) The short of it is that I got my ATP in less than quoted time. They were 100% happy withmy logs even though they didn't look like the standard Canadian logs. TC doesn’t care what your log looks like so long as it contains the information they are looking for. There is also no requirment to have all your times stamped and certified. There is no legal requirement for your log book to look a certain way, there is no such thing as a US or Canadian log book that's just marketing. In fact you can go to Walmart and buy a plain old note pad and make hand written sentence entries verses writting numbers in column. So long as, for the purpouse of obtaining a license and remaining current you have buried withing those sentences the legally required information. For example in your walmart note pad your could write "Jan 5th, 2013 the night sky was clear and winds calm at Langley Airport, BC. I climbed into my trusty 172 CG-FLY and took off into the darkness. The city lights below me were sparkling like a jewel as I completed 6 solo take off and landings in the darkeness and then landed after 1.0 hour of air time. That is a legal log entry and counts towards your night recurrency. Obvisously for the efficient issuing of a license it’s not recommended you write your logs in sentence form. TC may take years to process your application. The OP might also consider drawing a line in the log & breaking out the PIC/dual--just write it in with a notation of what you've done & why--and then continue using the US-type log. Log future PIC/dual flights in the Canadian style. There really isn't a required format, as long as you can show the required details when needed to obtain a higher licence. When I got my Canadian licence. I had a whole bunch of flying that was done overseas, with no certification. My previous logbook was stolen and I had carried forward around 500hrs from that logbook from photocopies of the last few pages. Again, no authority or declarations signed. I am also using the FAA Jepp logbook. Had no issues at all through any of it. Not even any questions asked. I have been thinking if I continue in the Jep logbook, I can write the co-pilot time under Second in command column and write the captain's name in the Remarks Section. Would this be good enough ? How important is it to write the captain's or PIC's NAME for every leg ? Sunnyb wrote: Would this be good enough ? How important is it to write the captain's or PIC's NAME for every leg ? From personal experience, TC wants to know who the PIC is on every flight. If it's not you, they want to know who it is. I imagine the remarks section would be fine to note this. How much does it cost to get into this hall of fame? Is there a bond I can sign? I'd be willing to sweep floors or clean toilets if it means I can eventually get in. How much does it cost to get into this hall of fame? Send me $1000 now, I'll make sure you get into it in 30 years.